Long story short, Henry needed a place in his room to practice his letters and words, draw pictures, more specifically to draw out his "garbage machines," as he would call them, all while being able to hang up his original works of art. I immediately thought to myself, "magnetic chalkboard!" 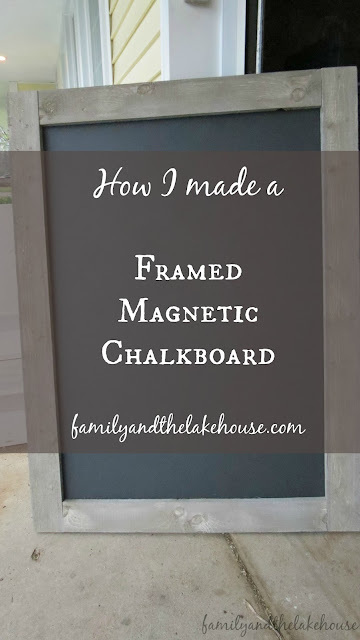 The idea originally came from my sister's house, who, in her dining room, has half the wall painted with magnetic chalkboard paint. It's pretty awesome and her kids love it! Seriously though, I love this thing. The kids love it, too! It's so fun and soooo easy to make! First of all, pick a size for your board. I went with a 3x4 piece of plywood. Once you have your board picked out, be sure to check for staples or knots in the wood. Find which side you plan to use. You are now ready to paint - I highly suggest painting outside. Like I said, this is a magnetic chalkboard, so I primed first with Rust-Oleum's Magnetic Primer Paint. I knew I'd be stirring quite a bit, so I put on safety goggles in case I stirred too quickly and some paint splatter got in my eye. Safety first, right!? 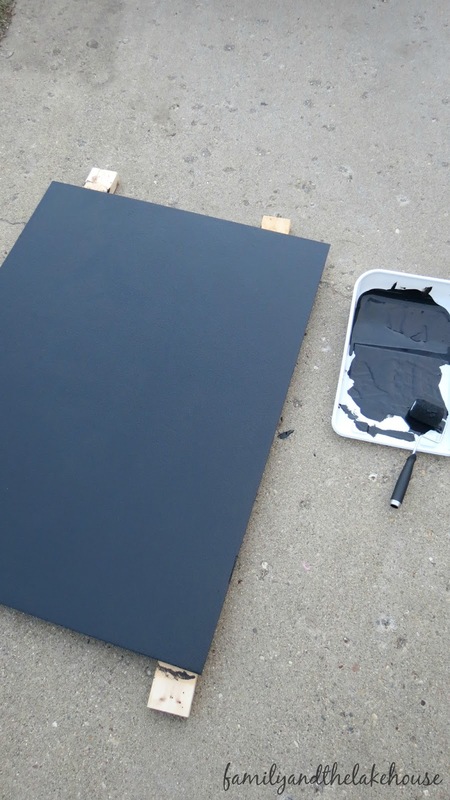 This paint, after lots of stirring, should resemble the appearance of tar. So stir, stir, stir. I applied two coats of the Primer and let it dry. 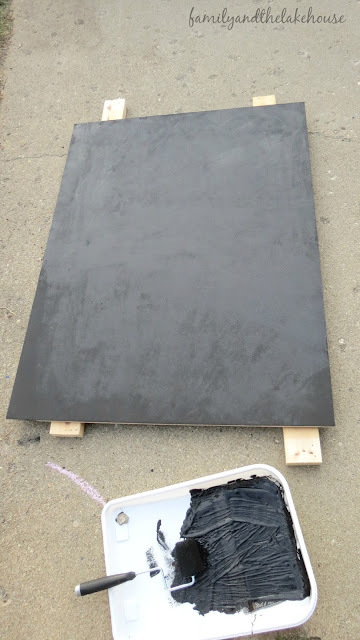 After a couple hours, I applied the actual chalkboard paint, which was, Rust-Oleum Chalkboard Paint. I was lucky to have some on hand over here, so I shook the can like I was preparing a martini, stirred it (despite what James Bond would have me do) and painted on two coats. I needed a frame, so off to Home Depot I went. While there, I spotted this barn wood. Oh my stars, I was pumped - PUMPED, I say - to have found this barn wood in the store. I knew I wanted these to be the framing around my newly painted plywood! I had them cut to size by an employee at Home Depot. Think Tim the Toolman Taylor, with a ponytail. Yeah. Totally me. Okay, so - here it is! Oh and here's some proof of my "nail gunning skills." <---Yeah, it's a thing. 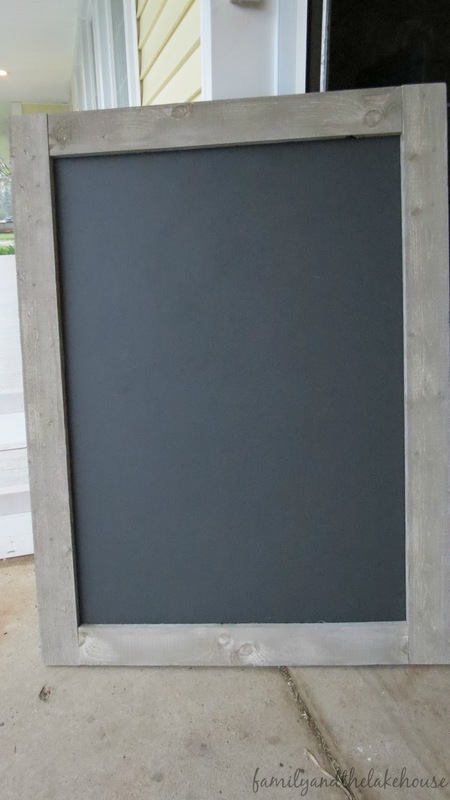 Stay tuned for a tour of Henry's bedroom, featuring this magnetic chalkboard! I'm linking over at at Totally Terrific Tuesday and Creative Gallery Link Party and Inspiration Gallery and Work It Wednesday. Marie, it's beautiful!! That barn wood is gorgeous!! Thanks for the PSA... I'll have to check our Home Depot to see if they carry it, too! I can't wait for another room tour! SOOOOOOOOOOOOOOOOOOOOO excited! How did I not see this before!!? 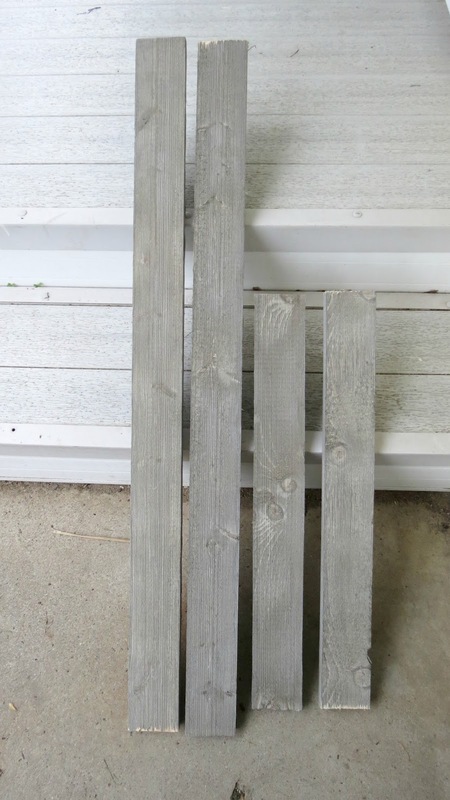 I didn't know Home Depot has barn wood!! This turned out amazing! Great job! So cute! 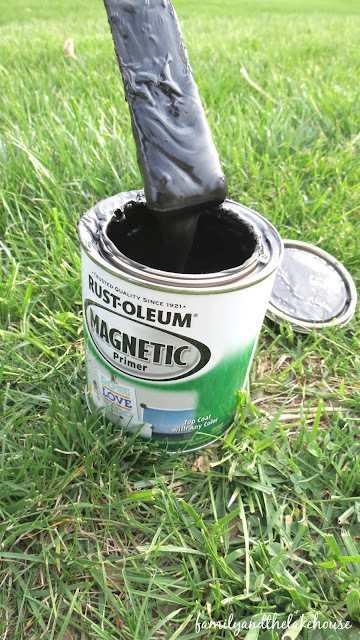 Did your magnetic primer still work after applying the chalkboard paint? I've read they "cancel" each other out. How strong is the magnetic pull?